I started the "Just Three Things" series earlier this year as a way for me to pop in with occasional topics and talking points that cross my mind, but don't necessarily require an entire post. I initially picked three talking points to keep my chatty self limited. Today I am tapping into my wild side and breaking my own rules. I have quite a few things to share, so although I am covering more than three things, I promise to do my best to keep things short, sweet and to the point. 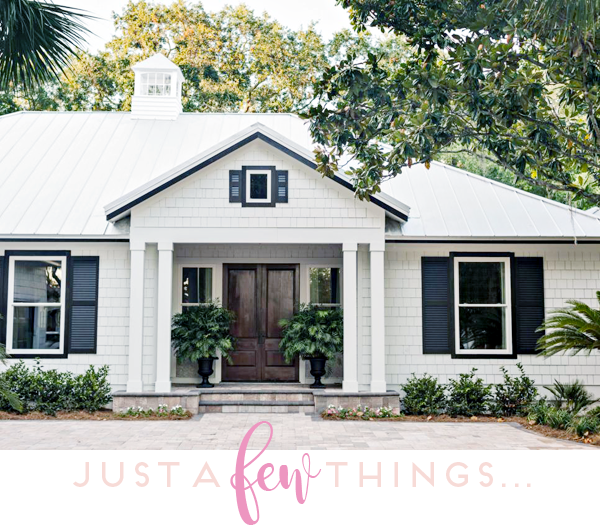 Last week Delta Faucets invited me to take a whirlwind trip to the beautiful St. Simons Island in Georgia, to take a tour of the brand new 2017 HGTV Dream Home! Every year for as long as I can remember, I would stalk the HGTV website for home images, set up my DVR to record the tour, and enter their home giveaway daily. So when the opportunity came up to tour the newest home during the day of the unveiling, I was beyond thrilled. I am still filtering through the hundreds of photos that I took that day, but I will be sure to share every last detail about the home soon. There were so many details to love. 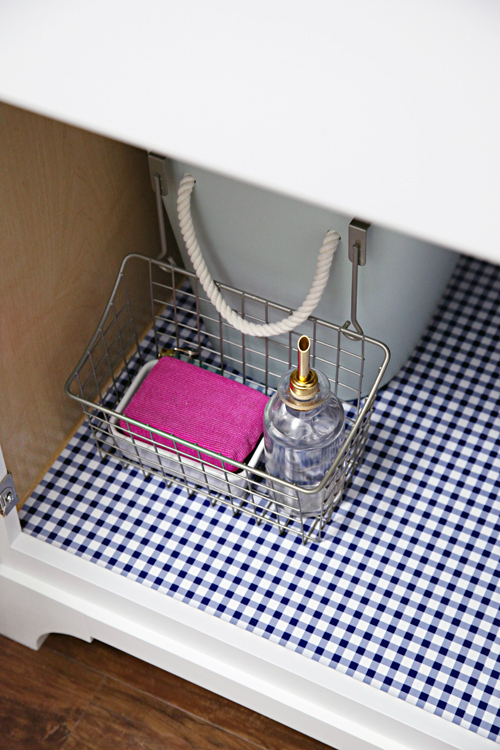 I know I have been doing a lot of talk about shelf liner lately, but that is because it has been on my mind for a few projects and I have been on the hunt for the perfect pattern. I finally tracked down a really good navy blue one; it is so freakin' fun, especially if you are still on the gingham/buffalo check train (choo choo!). My eyes explode into a million little hearts every time I open the cabinet door in our laundry room, and I can't wait to add it to our son's bathroom as well. The other night I found the Dude Be Nice project website, and I couldn't stop watching the videos. If you are looking for some goodness and joy, check them out. Just be sure to grab a box of Kleenex before you settle in. I prefer to purchase the jumbo size bottles of my shampoo and conditioner, but I am not a fan of their bulkiness and heaviness in our shower. I found these pump bottles on Amazon (they are plastic but look like glass), and I just love how the gold labels identify the contents. I use this label maker paired with this clear tape with gold font. The tape is almost always sold out on Amazon, but I just saw they added a couple more boxes. The best part is that it is waterproof. I have been using similar labels on my travel toiletries and our cleaning bottles for years. My dear friend Michaela started a cheerful holiday focussed Instagram party and it has been really fun following the #holidaystyle2016 hashtag. The insta-hosts are Michaela, myself, Cassie, Courtney, Carmel and Megan, and there is a new holiday focussed theme each week. I love seeing glimpses of all of your homes and how you are celebrating the holidays this season. It's not too late to join in on the fun! Check out the hashtag and share away! I am ridiculously happy to be receiving so many inquiries on social media and via email regarding the 2017 IHeart Planner release! These pages have definitely been a labor of love, and this year there will be 18 layout options to select from (three sizes, horizontal layouts, Monday starts!). It is also my favorite one yet, and I really hope you all agree it is worth the wait. I am hoping to get the files uploaded to Etsy within the next couple of days, and I thank you all so much for your excitement and interest! 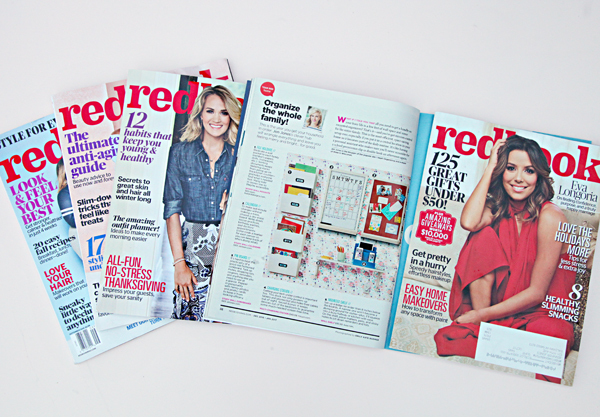 Contributing the Redbook Magazine each month has been one of my most exciting accomplishments and one of my favorite opportunities this year! 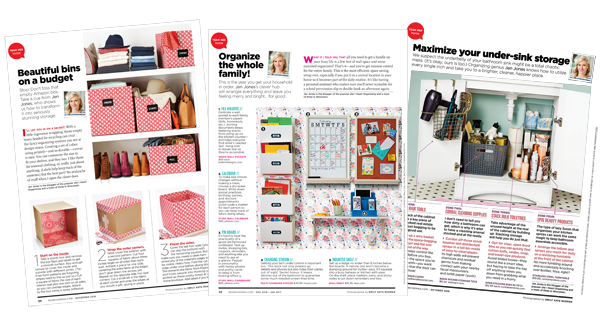 You can find me each month near the front of the issues; I am their Team Red Home contributor and focus specifically on around-the-house organizational ideas. This month is my fourth article, and I am chatting all about family friendly command stations! The magazine is on newsstands now and is loaded with quick tips! 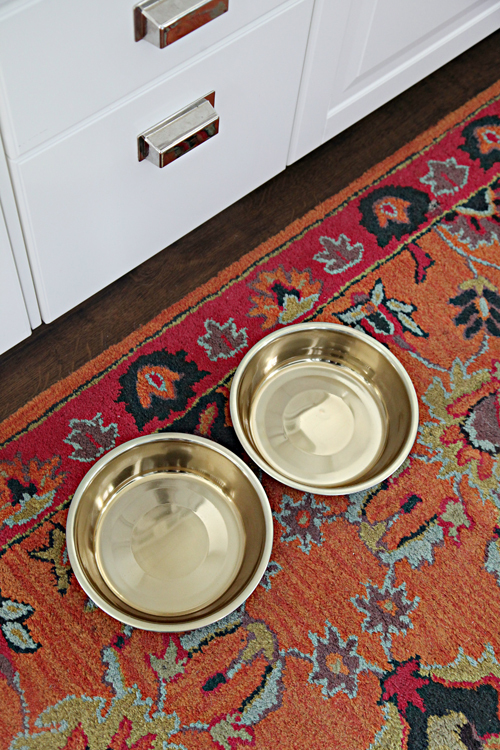 I know many of you love a good gold find as much as I do, so I just had to share these adorable stainless gold pet bowls that I picked up at Petco last week. I wasn't able to find a link to them online, so I am not sure if they are discontinuing them (please don't Petco! ), but each bowl was under $5 and they have been really great and easy to clean. We plan to put them in our laundry room as part of a pet feeding station, but I didn't want to wait to share in case they are only a temporary find. Whew! That was fun! Hopefully I wasn't too long winded with all of these little bits of information! Thanks for checking in everyone and I hope that your December is off to an amazing start! I am off to finish up the planners and hang some wallpaper in our laundry room. It arrived yesterday and it is just so good! lLove your blog! I will definitely check out Redbook, since I just got a subscription. Really love your idea for labeling the bottles with clear tape and gold font. Can you fix the link for the tape on Amazon. When I click on it it takes me to the bottles. Thanks! Would you please share the font you used on your label maker? I bought the label maker and gold on clear tape from reading your blog. :) Thank you. Thank you! It's a good one, I love it too! What font are you using on your label maker these days? That would be so neat to go on that HGTV home tour! That's great you were able to do that. Congratulations on being a contributor to a magazine. I'm sure lots of people are benefiting from your helpful information. Wonderful post! 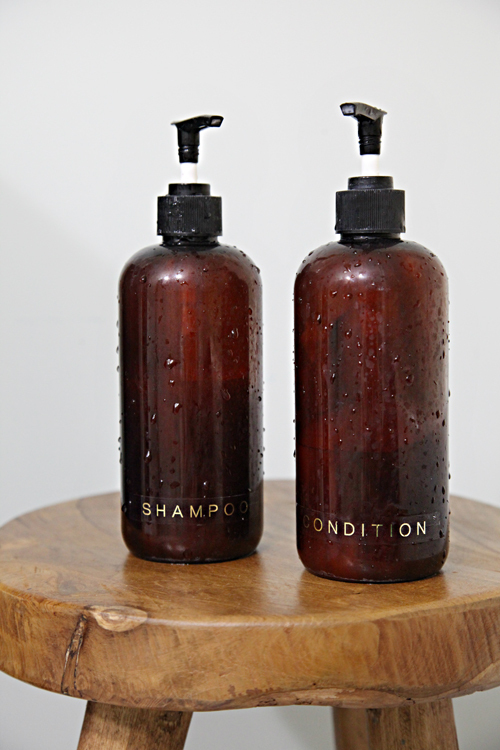 Where did you purchase the soap bottle with the brass pourer? 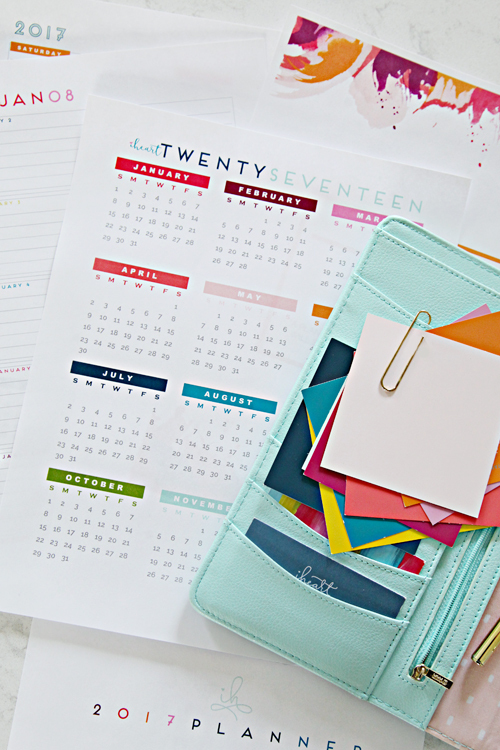 What is the aqua planner cover in the pic? Thanks so much Jen! Can't wait for your 2017 Planner to be released! Omg I love the amber bottles, I actually have been doing that in my own home when I couldn't find a good solution for a lotion bottle as well as for laundry detergent. I was able to find some at TJ Maxx and Homegoods with handsoap in them, and they were cheaper than the Amazon ones. I downloaded the spa labels from Lia Griffith and printed them on clear Silhouette sticker paper, stuck them to white vinyl and cut them with the Silhouette, after spraying them with clear matte sealer. Your way is much simpler! I appreciate the little update on the planners in particular because I am seriously antsy over here. Honestly, the late release has had me tempted to jump ship because I truly need a calendar much sooner. I had to resort to re-purposing another insert to make it fit but even that is getting full for January & March. I don't mean to complain but I thought you should be aware of situations like mine. The holiday season is already so crammed and hectic it's not the time to be disorganized as appointments come in. All THAT being said, I am truly looking forward to seeing what you've done new. I would love to try a new layout, but your previous layout flowed so well I am a bit apprehensive! Thanks for the teaser, please please let it be soon! Hey, I just thought of something...do you have your free month at a time calendar (without dates) (like the one in your time management bundle) available somewhere in Junior size? I just realized if I had one like that at the back of my calendar, the urgency wouldn't be as bad!